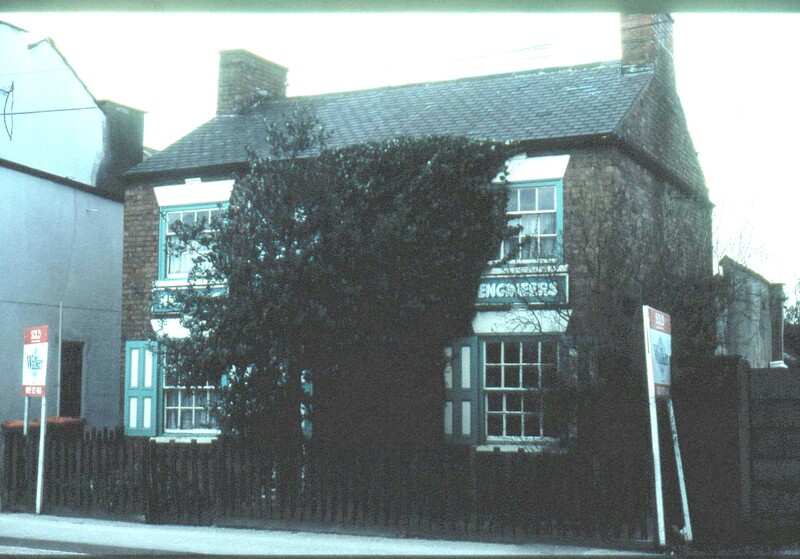 Stephen & Marion Wallwork have kindly given us permission to publish these interesting photographs from the early days of the Beeston and District Civic Society, and including their own comments. 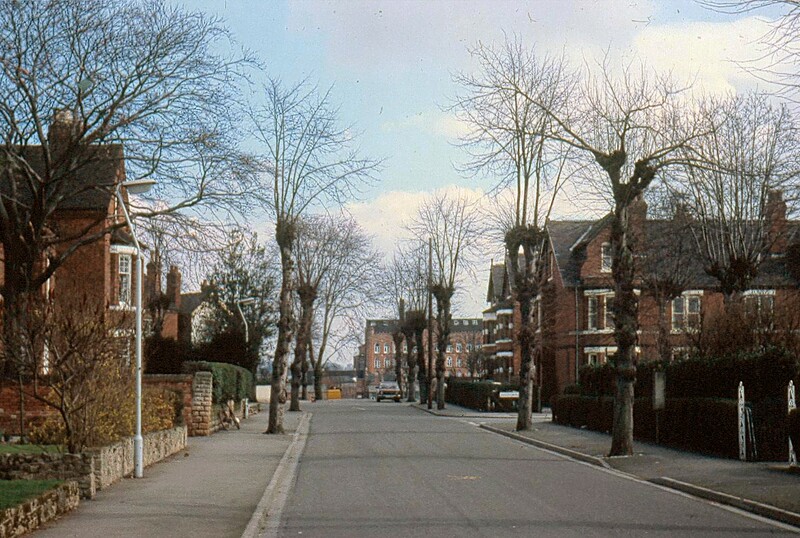 The Society was initially formed to act as a ‘brake’ against the then Council’s policy of pulling down old and historic buildings and replacing with new. 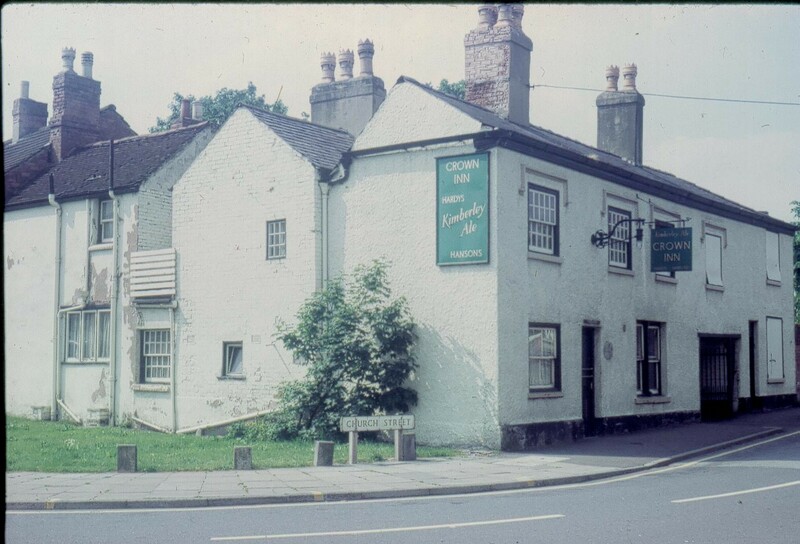 Taken as a record in case of demolition, they now provide a fascinating insight into Beeston during this time. Please note all the photographs are the property of, and copyright © Marion and Stephen Wallwork. Please see notice at the bottom of the page. Refurbishment and future uses under discussion at present. 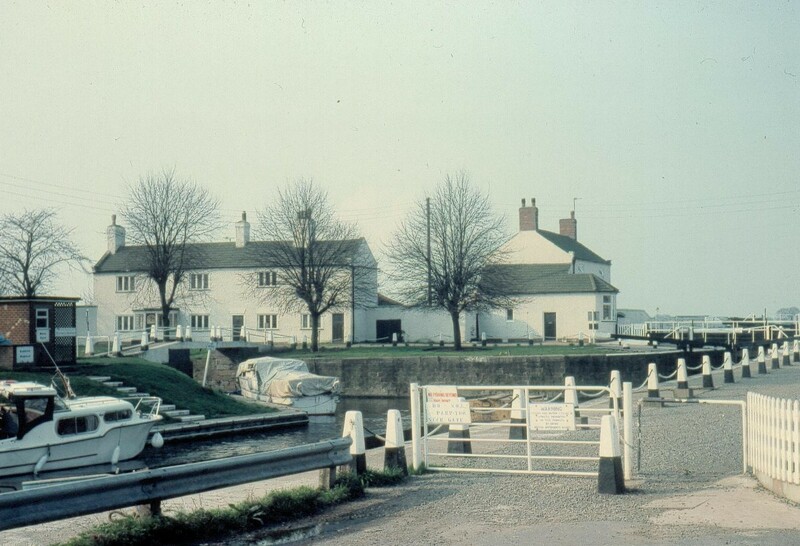 The Society was instrumental in persuading the planners to insist on tasteful improvements to the Inn. The Society endeavoured to have this listed but without success. 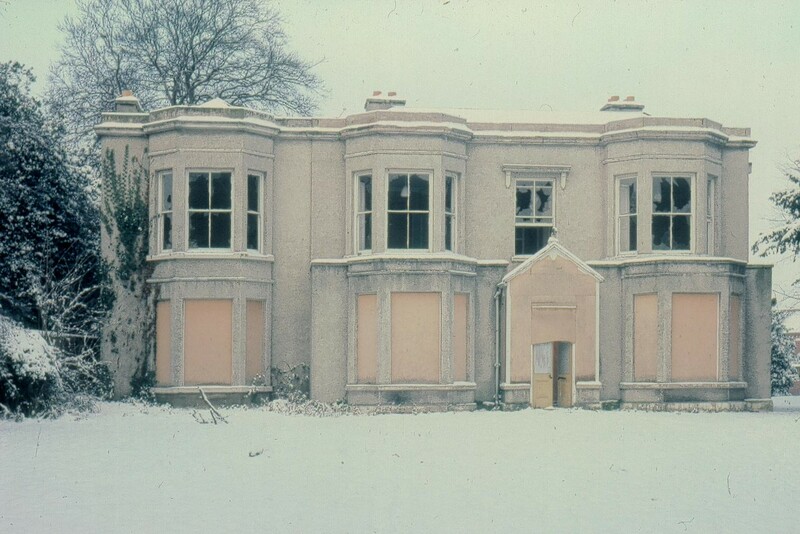 As a result of activity by the Society, encouraged by a planning officer, the Grange was listed, thus preventing its demolition by the police. 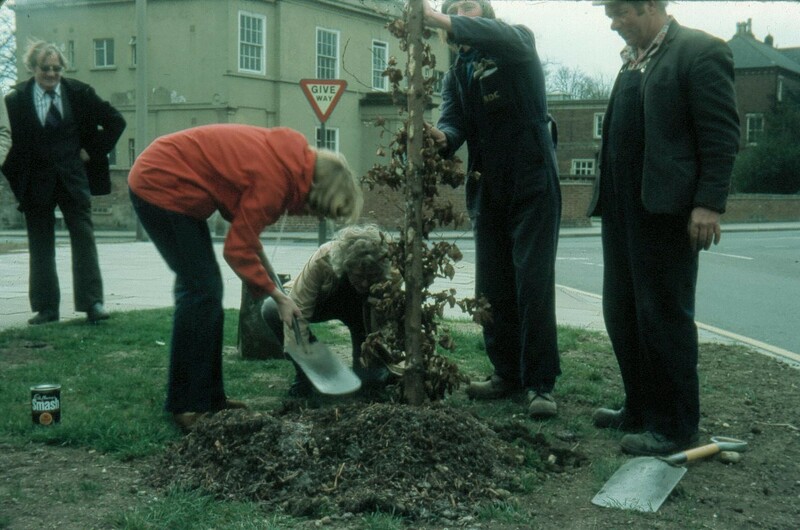 Tree planting at the corner of Middle Street and Chilwell Road. 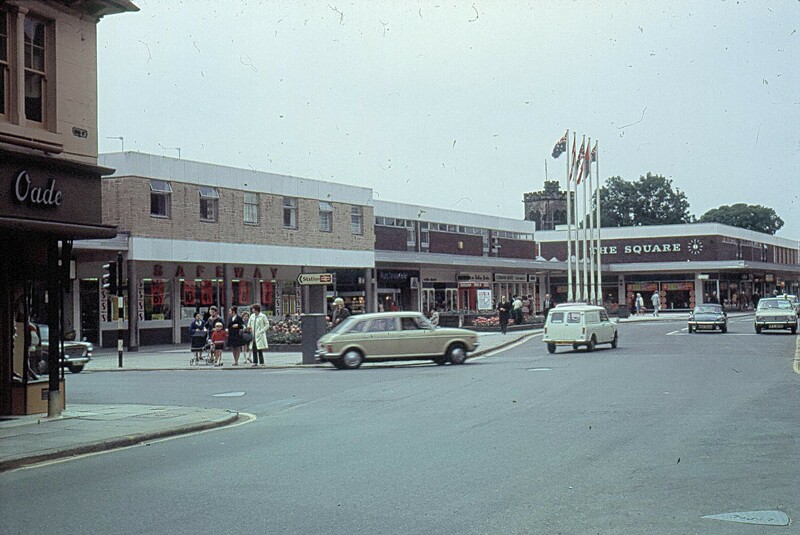 The Beeston Civic Society commented on the plans for the Square and indeed suggested the podium. An early project to use empty space as a play area for young children. It was opened by the Mayor. But it was closed a year or two later because nearby residents who claimed that teenagers were gathering there in an evening and making much noise. The area was dismantled by the Council without, I believe, reference to the Society. And what happened to the equipment? 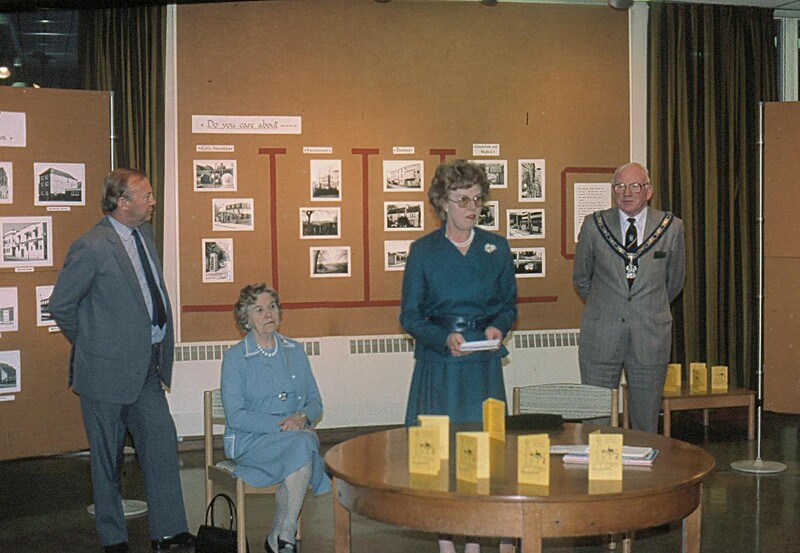 Opening of an exhibition by the Society in the library. 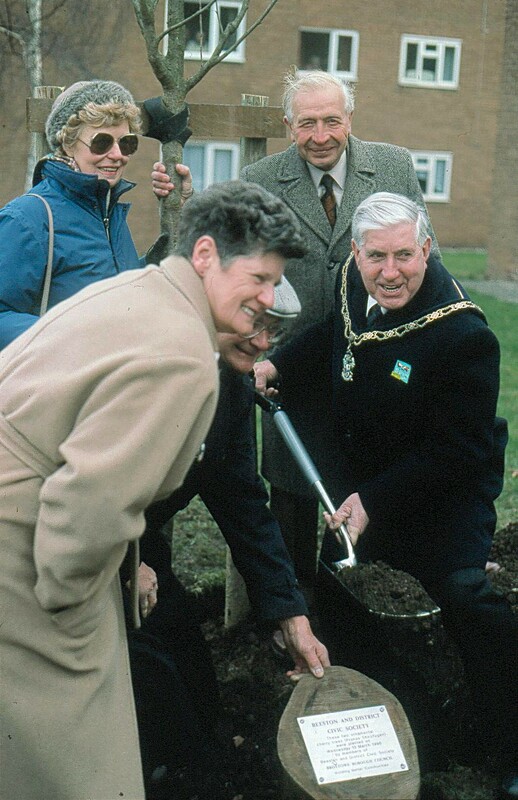 Jim Lester MP, Mrs M Sutton, Marion Wallwork, chairman, and Councillor (maybe Mayor) John Sutton. 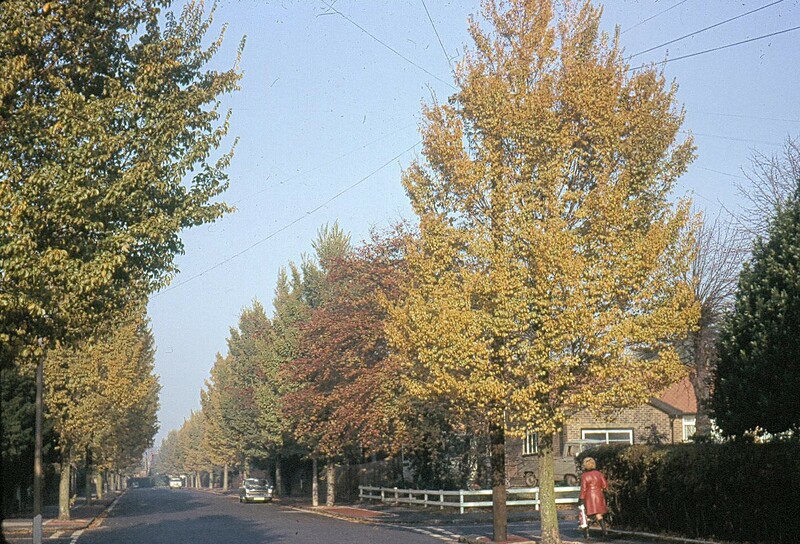 Elm trees on Elm Avenue before they were infected by Dutch Elm disease. Felling queried by the Society. Devonshire Avenue car park. 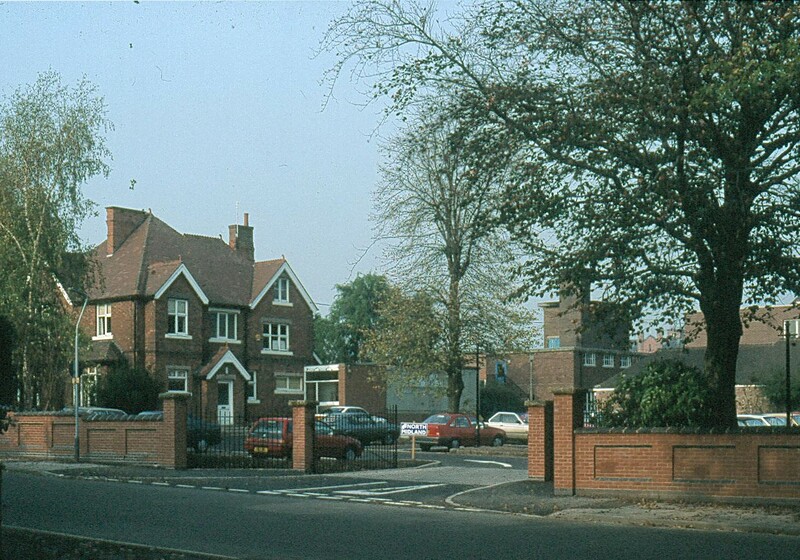 Society objected strongly to plans for this car park on a fine residential road. 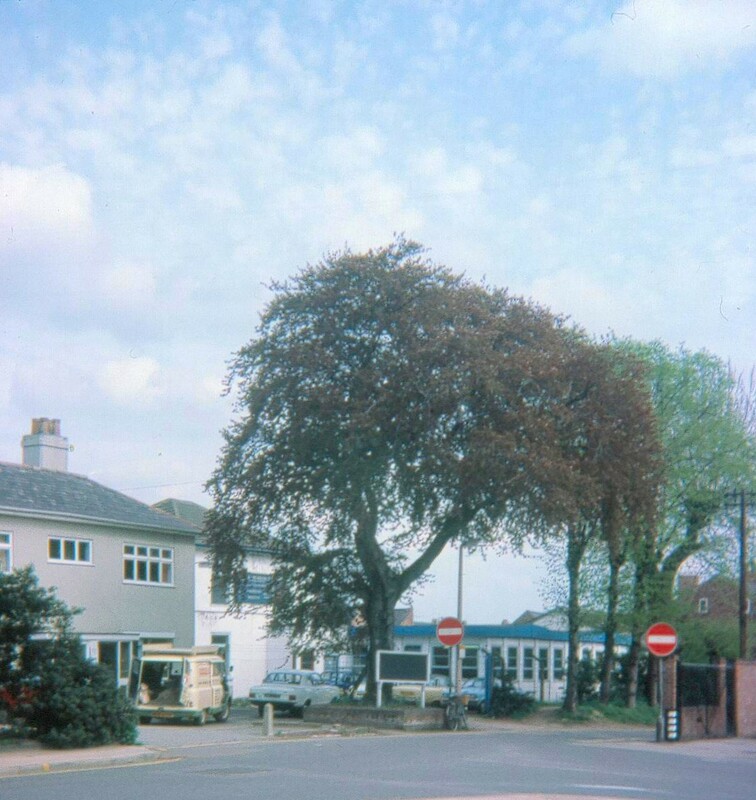 The society was informed that the car park would be screened by trees in such a way that it would hardly be visible from the road! 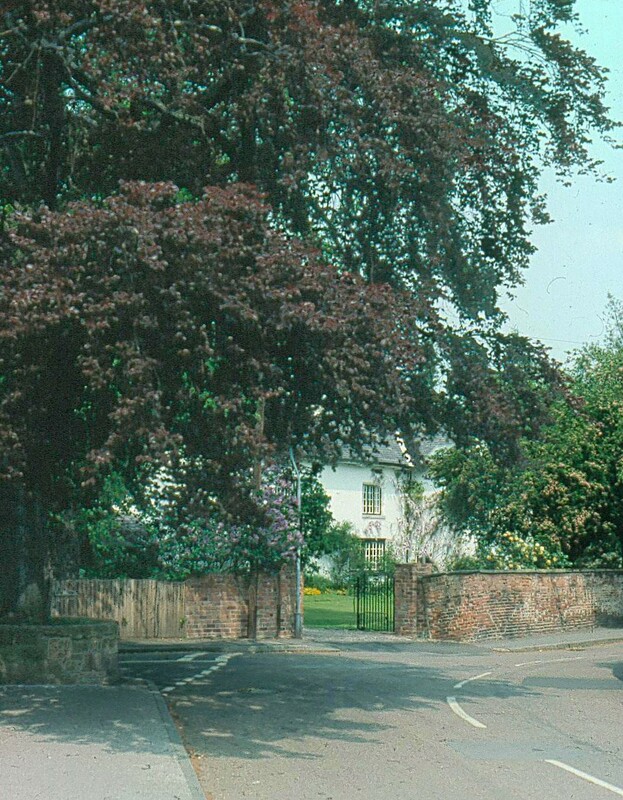 Copper beech tree, West End. A very fine tree, felled because it was infected by honey fungus. Queried by the Society. 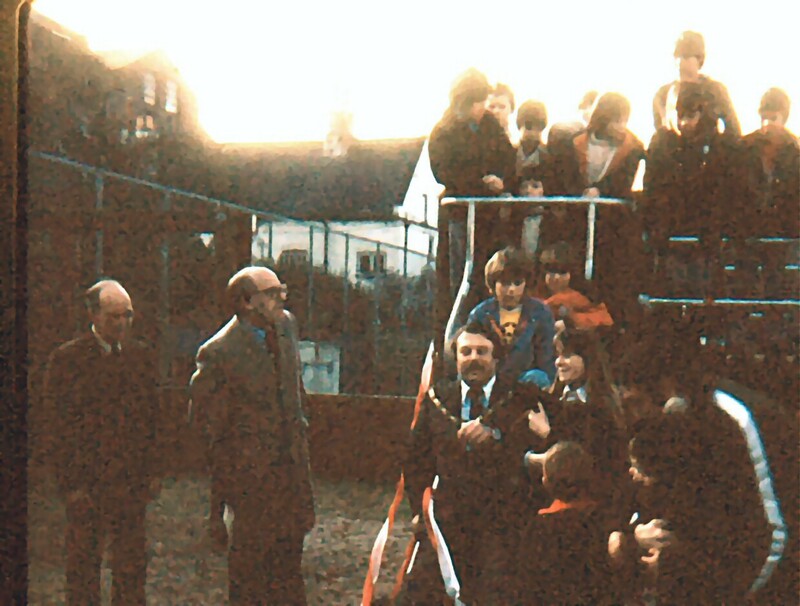 In the grounds of the flats on Middle Street by the Mayor, Councillor Tom Martin. His wife, Dr.Hutchinson and Marion Wallwork are also in the picture. Copyright S and M Wallwork. Permission granted for the use of Beeston and District Civic Society only. Not for resale. All rights reserved except those granted herein. Rights usage terms: Copyright S and M Wallwork. 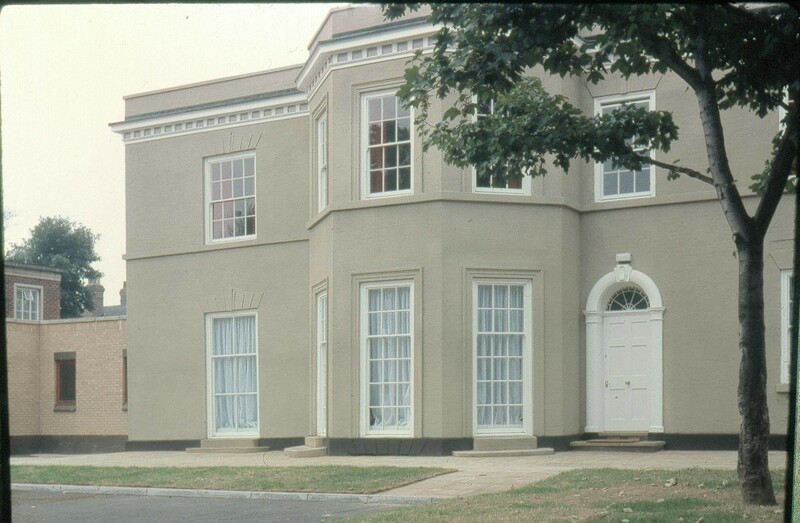 Permission granted for the use of Beeston and District Civic Society only. Not for resale. Contact: sandm.wallwork@talktalk.net or annelyburn@live.co.uk for usage rights.